The published numbers of the Journal of Psychology and Education / Revista de Psicología y Educación. 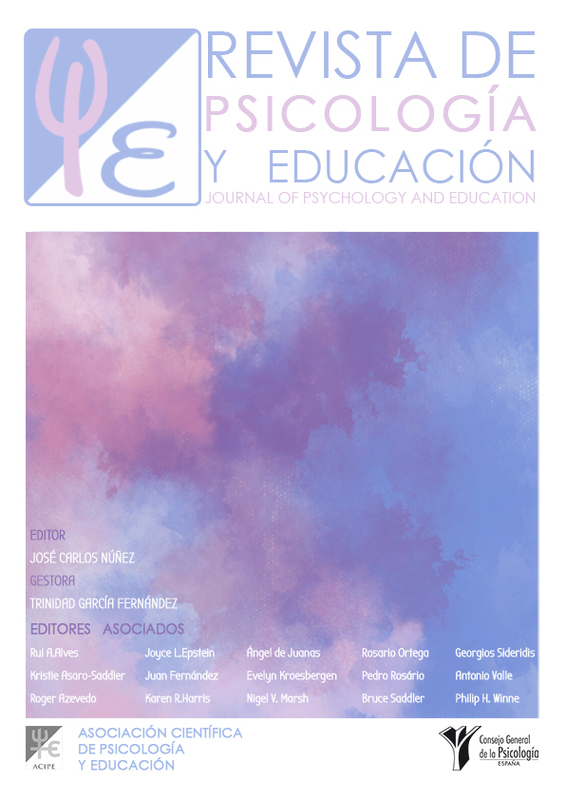 The Journal of Psychology and Education / Revista de Psicología y Educación is a scientific, semi-annual journal (January-June and July-December), published by the Scientific Association of Psychology and Education (ACIPE; Asociación Científica de Psicología y Educación) and the General Psychology Council of Spain (Consejo General de la Psicología de España). It includes unpublished articles from the interdisciplinary field between Psychology and Education, relevant for researchers or professionals of these disciplines, to whom the journal is directed. Works of an empirical nature, in Spanish or English, are accepted for evaluation. Works of a theoretical nature will be published only by proposal or prior request by the Editorial Committee of the journal. In any case, the works will be evaluated by means of a double-blind peer review system. Accepted articles are published in open access electronic format, at no cost for the authors. The main goal of the journal is to contribute to the dissemination of the high quality psychological and educational research that takes place in Spain. The journal is also open to the publication of international works that are of special interest and that make a relevant contribution to the field of Psychology and Education.